The shoes are handmade inside the forest without electricity and using very little water. The Amazonian Shoes are sustainable and eco-friendly contributing to the conservation of the Amazon Rainforest. The Amazonian Shoes are made one by one, by the Brazilian artisan 'Doutor da Borracha’ – Master of the Rubber, named after his knowledge of the material and its techniques. The rubber is extracted sustainably from wild rubber trees, an endemic species of the Amazon region. It's important to stress that the extraction of rubber does not harm the trees nor the environment. The shoes are produced using an alternative method of processing rubber (turning it from liquid to solid). This new process was developed by Tecbor Project from the University of Brasília, with the aim of finding sustaining solutions to help local communities and the environment. The Amazonian Shoes are made after the natural latex is processed and shaped into sheets. With the rubber sheets still wet, these are cut, shaped and moulded in wood casts to create the shoes which will glue naturally while drying outdoors. Each pair of Amazonian Shoes are unique, truly one of a kind. In the Brazilian Amazon, in a small community in the border with Bolivia and Peru, lives this artisan, entitled by his peers as ‘Doutor da Borracha’ – Master of the rubber – due to his knowledge on the subject. He lives in an Extractive Reserve in Acre state, and thanks to Tecbor technology he started to develop his own creative crafts-work. He makes beautiful handicrafts using only natural rubber, extracted from wild rubber trees in the Amazon Rainforest. THE DREAM OF 'DOUTOR' IS TO HAVE HIS SHOES AROUND THE WORLD AND WITH THEM HIS STORY. WE WANT TO HELP HIM REALISE HIS DREAM AND YOU CAN HELP TOO. Check out our WEBSHOP, choose a pair for you or for the people you love. More than half of the world's species of plants, animals and insects live in the Amazon Rainforest. There are around 3000 edible types of fruits, half of these are known to be consumed by natives and only 200 are cultivated for use today. 90% of Amazon Rainforest plants used by natives have not been studied by modern science. 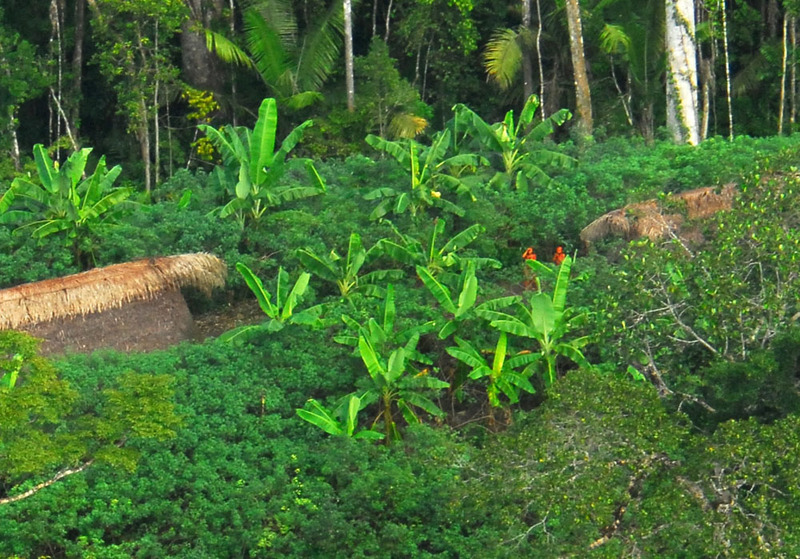 It is estimated that 3 million indigenous people live in the Amazon Rainforest. Comprising 300 ethnic groups and over 250 different spoken languages. It is believed that there may exist around 50 indigenous tribes living in the depths of the Amazon Rainforest that have never had contact with the outside world. 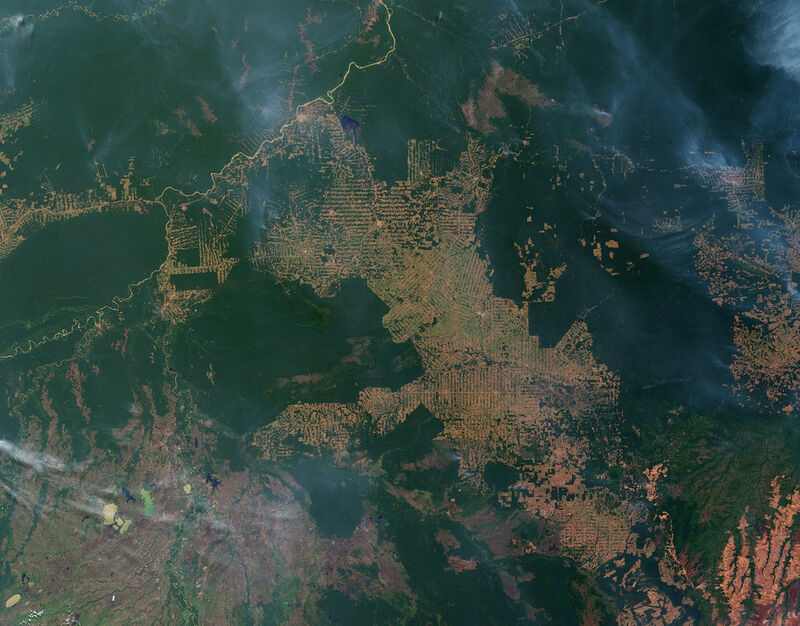 An estimated number of 2700 million acres of the rainforest are burned each year. 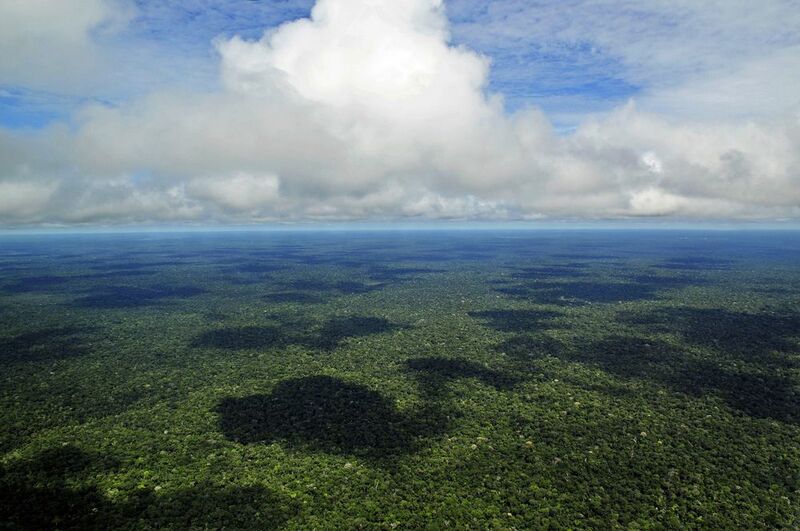 According to Sky Rainforest Rescue deforestation creates around 20% of the world’s greenhouse gas emissions - that’s as much as all the world’s cars, planes, trains and ships put together. With an average freshwater discharge of approximately 219,000 cubic meters per second, the Amazon river represents 15-16% of the world’s total river flow into the world’s oceans. Brazil, Colombia, Peru, Venezuela, Ecuador, Bolivia, Guyana, French Guyana and Suriname. It covers 2 thirds of the South American continent. And represents 54% of the total rainforests left of the planet. Latex is an opaque, milky white and sticky sap from rubber trees, it was discovered by South American Indians. Natural rubber was known in South and Central America long before Christopher Columbus arrived in the ‘New World’ in 1492. In the XVI and XVII centuries explorers reported that the Indians played with balls that touched the ground and jumped high or that they had waterproof shoes and clothes. By pouring the rubber milky sap on their feet and using the smoke of a fire to coagulate the latex, the Amazonian indians invented waterproof rubber shoes. The first description of the manufacturing process of a rubber artefact is probably from the French scientist Charles Marie De La Condemine in 1735, he explained that the natives made incisions in the rubber trees bark and a white liquid would be drained. Thenthey would apply it in layers on a piece of moulded clay, to dry it they used smoke, then they would brake the clay cast. And this way they fabricated various impermeable objects. The natives of the Amazon called these plants ‘caucho’– meaning 'crying tree'. Although the indigenous peoples of the forest had been extracting latex from rubber trees for many generations, it was only in 1839 when Charles Goodyear discovered the process of vulcanisation that the rubber sap was able to be transformed into an industrial product. What came after was the Amazon rubber boom a very important period in the history of Brazil, economical and socially. Rubber tapping is the process of collecting the rubber sap (latex) from a rubber tree. It’s an environmentally friendly activity, the trees begin to produce more latex after the harvest and obviously are not harmed. The bark of the tree is ‘cut’ (superficial incision) diagonally, in order to cut the latex vessels and make the milky white fluid drip into a bucket. The rubber tapper crosses the forest in the morning to ‘cut’ and set the buckets, in the end of the day he does the same route to collect the latex. Hevea brasiliensis or rubber tree are native and exclusive from the Amazon Rainforest. The natives called these trees 'caucho'– meaning 'crying tree', they used the rubber to make their clothes impermeable, make rubber balls for a game or to make shoes. The Brazilian rubber has high competition in the other side of the planet, where Asian rubber trees plantations are easier to harvest (the trees are planted in lines, the rubber trees in Amazon grow wildly), making them cheaper. Rubber extraction gives economical value to the trees alive, the communities inside the forest benefit directly from them making them protectors of the land preventing deforestation. The Amazonian shoes are made of 100% natural rubber, extracted from wild rubber trees in the Amazon rainforest. The shoes production process is quite innovative, due to the technical development achieved by Tecbor process developed by the chemistry laboratory Lateq of University of Brasília. The Tecbor technology was developed as an alternative to improve in many ways the rubber processing conditions, by using simple techniques and materials, everything free of harsh chemicals. With this technology the rubber tappers produce a low cost and higher quality processed rubber, eliminating the use of electricity and reducing the excessive consumption of water. The result are the FDL ‘Folha de Defumação Líquida’ (liquid smoked sheet) a high quality and great resistance product intended for industries - and the FSA - ‘Folha Semi Artefacto’ (semi artefact sheet) used in the creation of decorative and functional goods, like the Amazonian Shoes. These 2 types of rubber are high quality Amazonian products with a selling price that can be seven times higher than the ones made with the former way of processing latex. The increase of income provides better conditions for the rubber tapper communities to remain in the forest, who otherwise would have to migrate to the periphery of cities in search of better living conditions. One of the beneficial consequences of this human settlement is the preservation of the forest, the local resources and the culture. The families, especially the women, are integrated in the latex processing, allowing the rubber tapper to have time for other extractive activities, yielding more value to the family.